The information was released at a dissemination workshop entitled “A transition from Grey to Green and Stories of Green Offices”, held in Hanoi on November 7, by the Asian Institute of Technology in Vietnam (AIT – VN). Carried out from May 2017 to November 2018, the initiative aimed to upscale and mainstream low-carbon sustainable lifestyles and behaviour amongst offices workers. The project was also designed to contribute to realising Vietnamese Government’s target of an 8% GHG reduction by 2030 as part of the country’s participation in the Paris Climate Agreement. 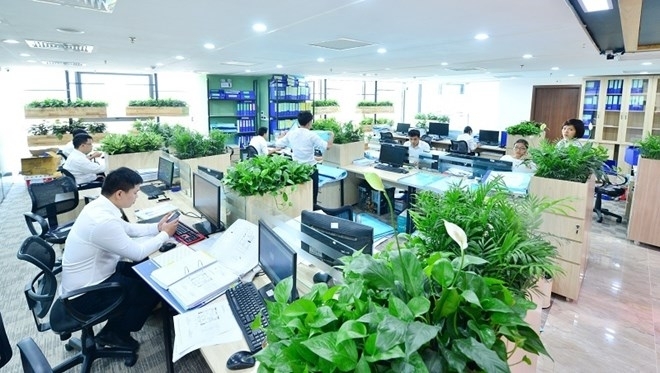 There were 11 offices conducting pilot GO programmes in Hanoi, Da Nang and Ho Chi Minh City, resulting in remarkable achievements in the reduction of GHG emissions and operational costs. Among these 11 offices, the TUV NORD Vietnam Co., Ltd. posted a greenhouse gas emission rate of up to 25.8%; the Siam City Cement Vietnam Co., Ltd., 20%; and Cao Thang Technology College, 15.8%/.